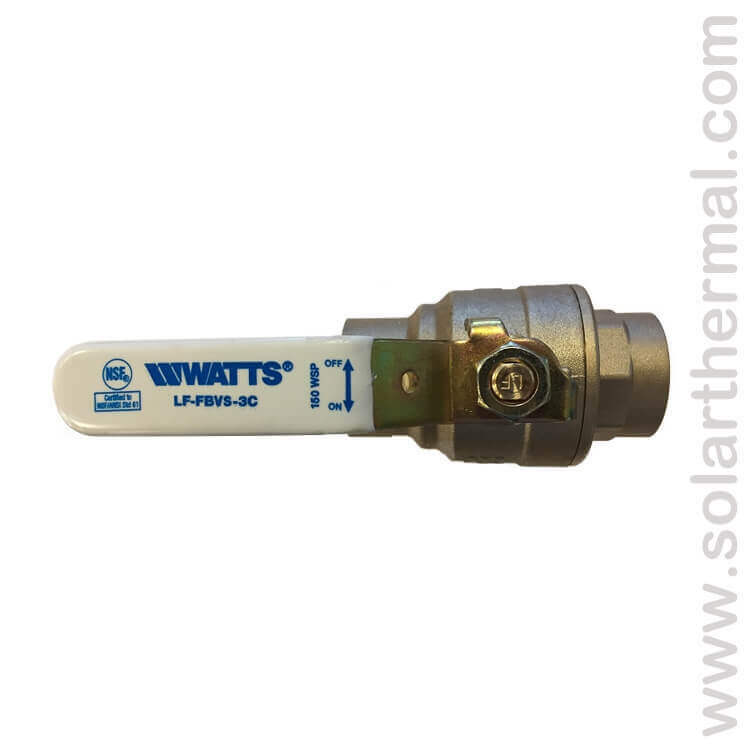 Watts Series LFFBVS-3C 2-piece, full port, Lead Free ball valves are used in commercial and industrial applications for a full range of liquids and gasses. They feature a bottom-loaded blowout proof stem, virgin PTFE seats, thrust washer and adjustable stem packing gland, stem packing nut, chrome plated Lead Free brass ball, copper silicon alloy brass adapter and steel handle. 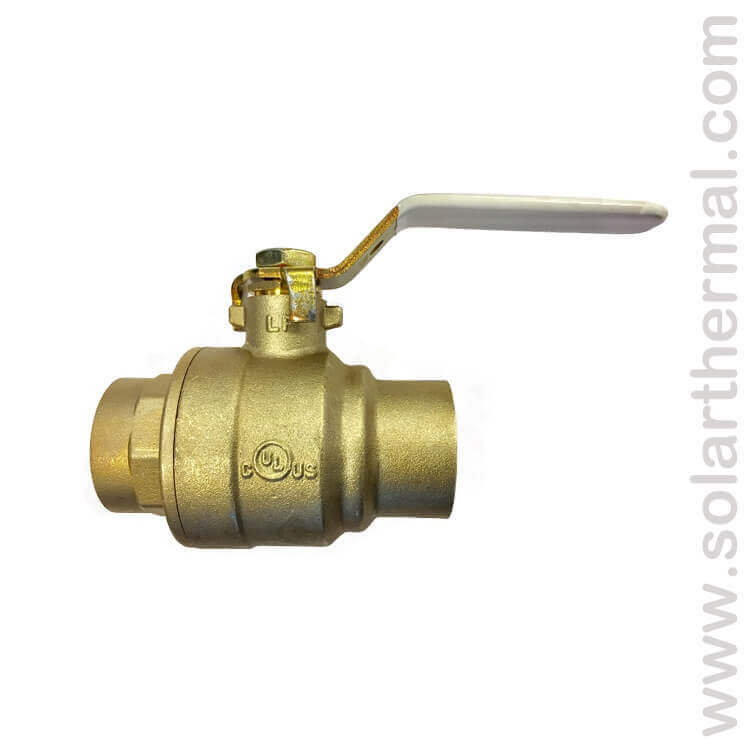 LFFBVS-3C valves feature Lead Free construction to comply with Lead Free installation requirements. NOTICE: Apply heat with the flame directed AWAY from teh center of the valve body. Excessive heat can harm the seats. After soldering, the packing nut may have to be tightened.